PamelaQuilts: Back to School with Island Batik! 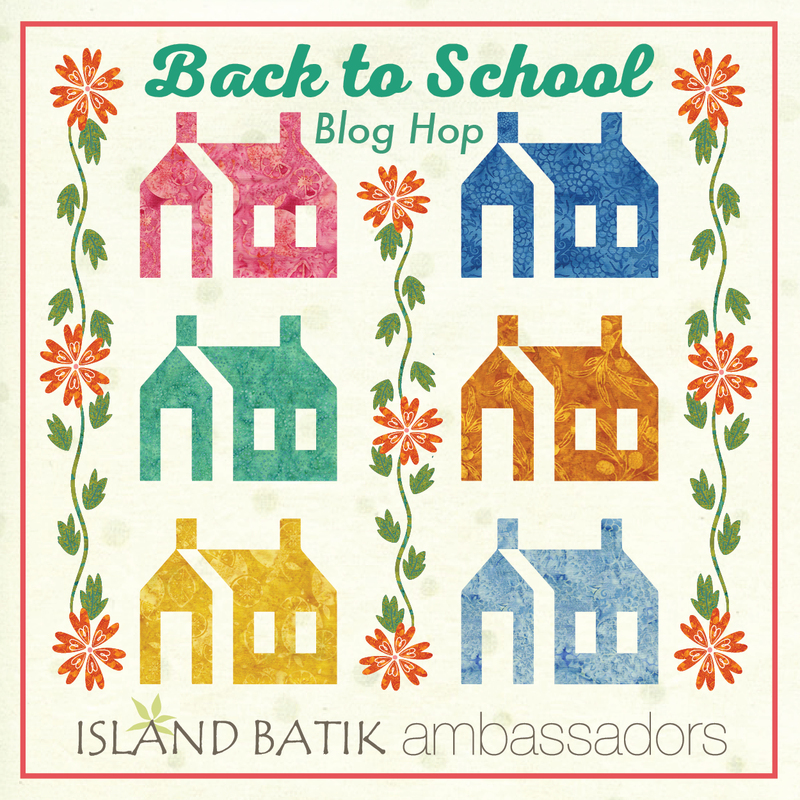 Back to School with Island Batik! I love this time of year! When I was growing up I was always happy to start school again and see all of my friends, buy new school supplies, and make and buy new clothes for school. During my mom years, I looked forward to being able to start spending more time sewing and working on new projects while the kids were in school. Now that my kids are grown, I look forward to the fall weather, seeing pictures of my grandkids ready to start their school year and this year, the Island Batik Blog hop! Starting today we have a full 4 weeks of great blog posts showing you all the great collections that are now on their way to your local quilt shops! There are fabulous prizes - big bundles from Island Batik and each blogger will have a giveaway as well. Today's featured fabric is Beaujolais. Make sure you visit FunThreads Designs and Quilting Affection Designs to see the beautiful projects they made with this collection. 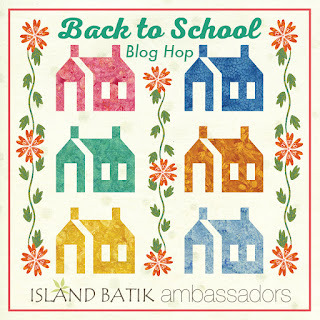 Hop over to the Island Batik blog to enter for the big prize giveaways: Back to School Blog Hop. My turn isn't for a few weeks, but I can't wait to show you what I made! Here is the schedule for the month - make sure you go to the various designers blogs and tell them how much you like their projects - it's always a wonderful thing to get comments on our posts!